Dozens of athletes were barred after failing to log their whereabouts in the leadup to the event. 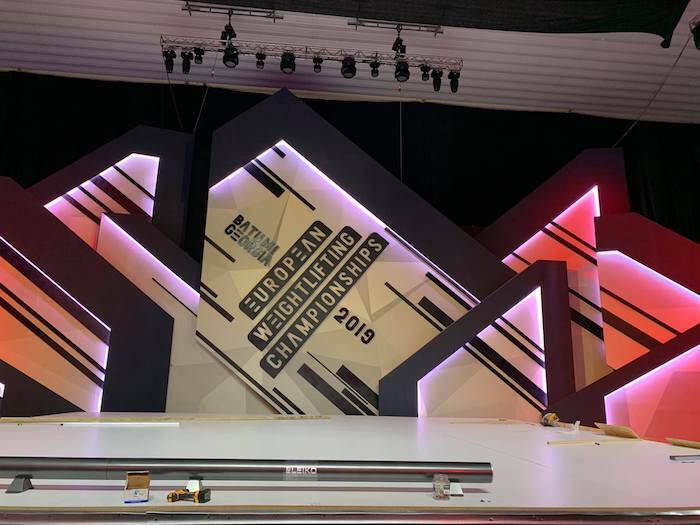 The 2019 European Weightlifting Championships began in Batumi, Georgia this weekend but 41 athletes from 18 nations were barred after failing to comply with World Anti-Doping Agency regulations. Note that this doesn’t mean they tested positive for banned substances. Rather, the athletes didn’t comply with rules that require them to regularly log their whereabouts on WADA’s website through a program called ADAMS, or Anti-Doping Administration and Management System. Note that the IWF enforces the rule but ADAMS is managed by WADA, and the rule is in place so that WADA knows athletes’ locations in case they decide to conduct a random drug test — not providing the info can be seen as trying to avoid testing. According to Inside the Games, the barred athletes (who are currently unnamed) were from all over Europe — Scandinavia, central Europe, the Balkans, and former Soviet countries — and many arrived in Georgia to compete unaware that they were ineligible to lift. Image via European Weightlifting Federation on Facebook. I’m angry that this system is not better, that the global software of ADAMS is not user friendly. I first used ADAMS in 2006 and now it looks the same, with the difference that it takes longer to log in. Things change so fast in the world of informatics, of software – ADAMS should get better over time but it doesn’t. The number of athletes competing in Batumi has dropped from 401 to 360. Featured image via European Weightlifting Federation on Facebook.